Everyone loves the long days and short nights during the summer months when we can dine outside and the city comes to life! There are endless choices of restaurants but sometimes finding the perfect one and making a reservation for 2 or more people becomes difficult. Plus, finding a new favorite spot to eat can pose an even bigger challenge while on vacation or traveling on business to another city. I am very excited to share with you an App that can help you take care of these problems. 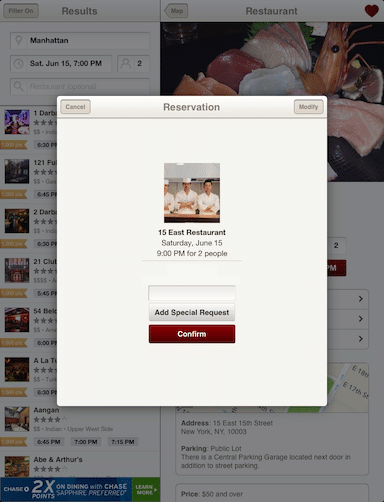 The Open Table App lets you make restaurant reservations from your iPad (or iPhone), quickly and free! Follow this post if you need to refresh how to download and install iPad Apps. At the moment, only selected restaurants in the United States and Canada are available on the App. In the UK there is a similar App called toptable. I found Open Table to be very intuitive and easy to use. 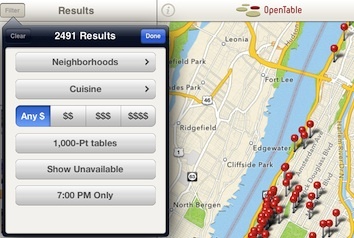 Open Table allows you to search for Restaurants near to your current location or you can manually enter your location. Specify the date and time and your party size and you will get a list of restaurants with their rating and availability. The filter button (top left) lets you filter restaurants by neighbourhoods, type of kitchen, price range and specific time availability. You can make reservations within the App. All you need is to be logged in with an Open Table or Facebook account. 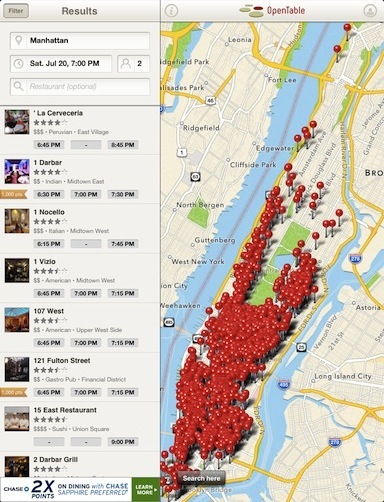 Open Table lets you bookmark or favourite the restaurants that you like. 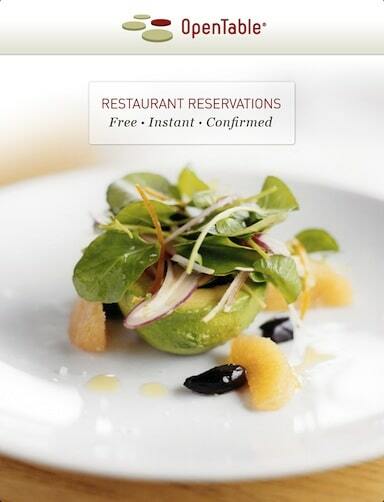 Reservations earn you Open Table points that can be redeemed for dining cheques. Do you know any other good restaurant reservation Apps? Which one(s)?